This contest is intended for current members of the Lady Blue Knights Lacrosse Club. Current members consist of those who have previously played in the house league or rep programs and are registered for the 2019 season. The contest period opens on January 1, 2019 at 12:00 AM ET and ends on May 1, 2019 at 11:59 PM ET. The winner will be announced on the Victoria Day long weekend. Current LBK players will be entered into the contest if they refer a minimum of 3 NEW REGISTRANTS to the LBK program. Make sure your friends register to play Lady Blue Knights lacrosse. On-line registration can be found at www.ladyblueknights.ca. In-person registration can be completed on Saturday, January 19, 2019 from 12:00 PM to 3:00 PM or Saturday, February 23, 2019 from 9:00 AM to 12:30 PM at Iroquois Sports Complex in Whitby, Ontario. The individual you referred must enter your name in the ‘referral section’ on the registration form. Keep track of anyone you referred and submit the completed Google Form (https://goo.gl/forms/7Iw5wvvk2tTt28zu1) no later than May 1, 2019 at 11:59 PM ET. This form can only be submitted once. One Grand Prize, $500 Oshawa Centre Gift Card, will be awarded to the individual who referred the most new registrants. One Second Place Prize, $250 Oshawa Centre Gift Card, will be awarded to the individual who referred the second most new registrants. One Third Place Prize, $100 Oshawa Centre Gift Card, will be awarded to the individual who referred the third most new registrants. The prizes must be accepted as awarded and cannot be substituted or exchanged for cash. The potential winners will be notified by phone or email to arrange a date and time to collect the prize. To be declared a winner, LBK administration will be cross referencing the referral names on the Google Form with the reference name provided on the new players registration form. All personal information gathered about entrants in the course of this Contest will be used solely by Lady Blue Knights Lacrosse Club for the administration of this Contest. Any questions or concerns can be emailed to lbksocialmedia@gmail.com. This program is designed to challenge players of all ages and skill levels. Players will experience increased confidence as fundamental skills, situational play, fitness & overall game sense improves. Receive great instruction from our featured head coaches along with a number others. Our great instructor to player ratio will provide the athletes a lot of opportunity for feedback, correction and individual attention. ﻿This includes top level scholarship bound players down to beginners - and everyone in between! IMPROVE YOUR GAME THIS OFF-SEASON!! Their Opportunity exists to support under serviced families with the means to enroll their children into local sports and recreation programs. We set out to eliminate the financial barriers so children can develop essential life skills such as confidence and sportsmanship, as well as develop a healthy lifestyle. Their Opportunity hosts a unique Giveback Program where children receiving funding are required to “pay it forward” within their community. Since its inception, Their Opportunity has helped provide opportunities for over 7,500 children and affected thousands more through its Giveback Program translating to 97,500 recreation hours and 26,250 hours of community service or engagement. Our NEW mentorship program is designed to create an environment to inspire, develop confidence and empower our LBK athletes. Our mentorship program will provide an opportunity for U19 players to become positive and inspirational role models positively impacting our U11, U13, and U15 players. Our U19 players choosing to participate in the program will take part in a training program on how to be a good mentor and role model. Our U19 mentors will be partnered with U11, U13 and U15 players that choose to take part in the program as a mentee. 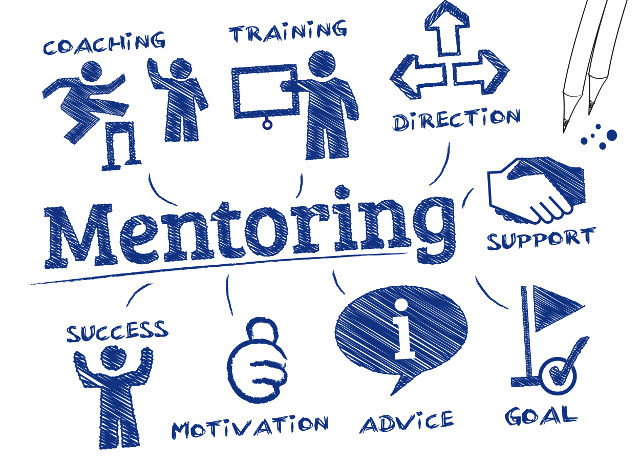 We are excited about launching our mentoring program and hope you are just as excited about taking part in it. For more information on becoming a Mentor (U19’s), or a Mentee (U11, U13, U15’s) please click on the icon. IN YOUR OFF-SEASON, COME PLAY HOCKEY! In your off-season, come play Ringette! Quest for Gold THANK YOU! A big THANK YOU! to Tim Walsh for donating a Rebounder and other equipment for prizes for our Camp Samac year end celebration. We would also like to thank Durham Sports Gear for their donation of lacrosse prizes. Your donations helped contribute to a very successful Quest for Gold year end celebration!